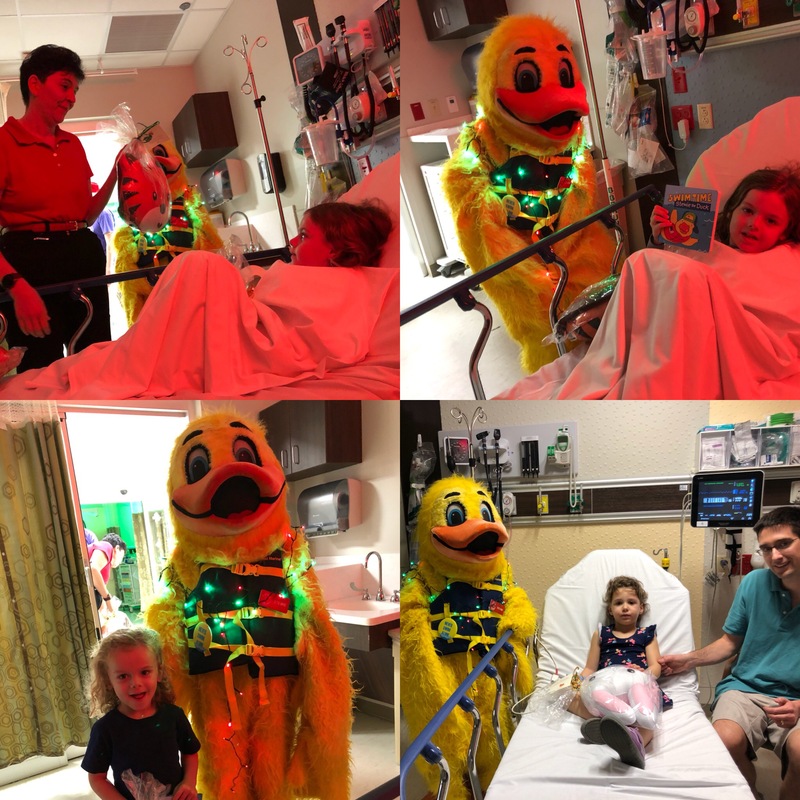 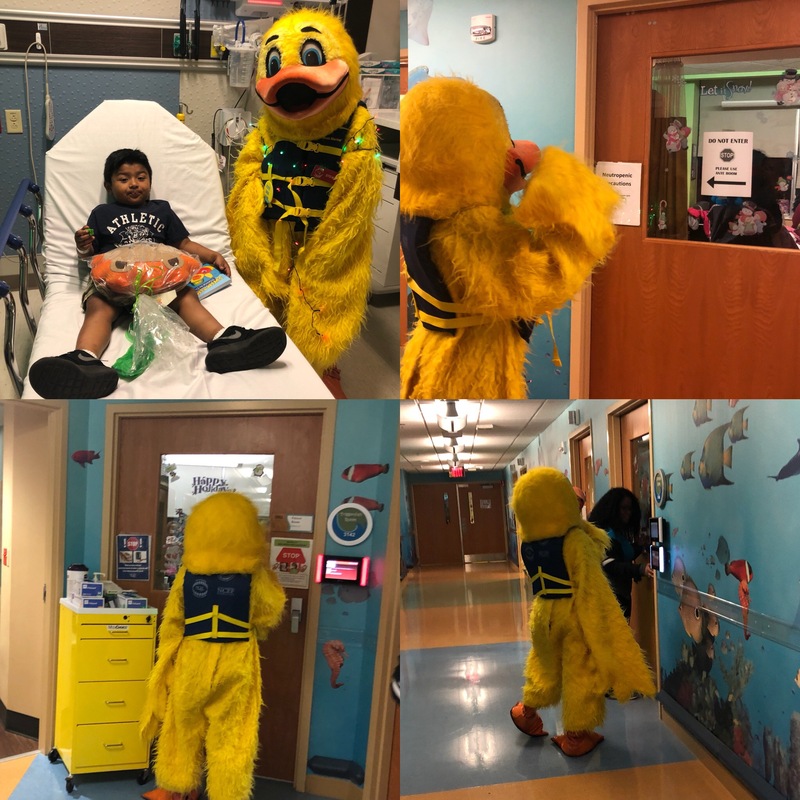 #StewietheDuck helped delivered beautiful handmade animal pillows to the NCH Healthcare System #PediatricER and Intensive Care Unit. 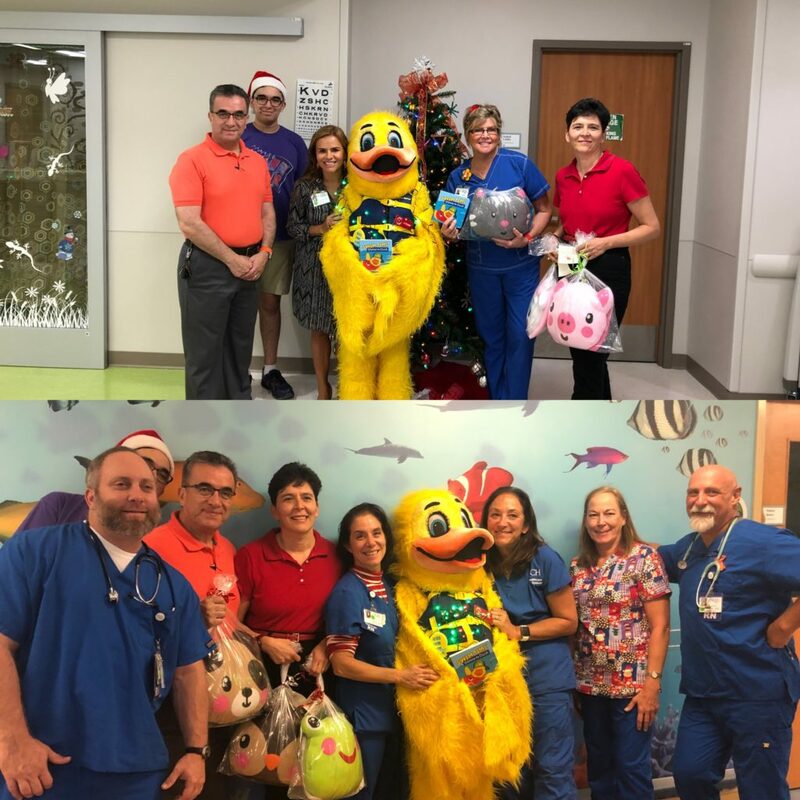 Thank you Bernal Family for inviting Stewie to deliver the pillows! 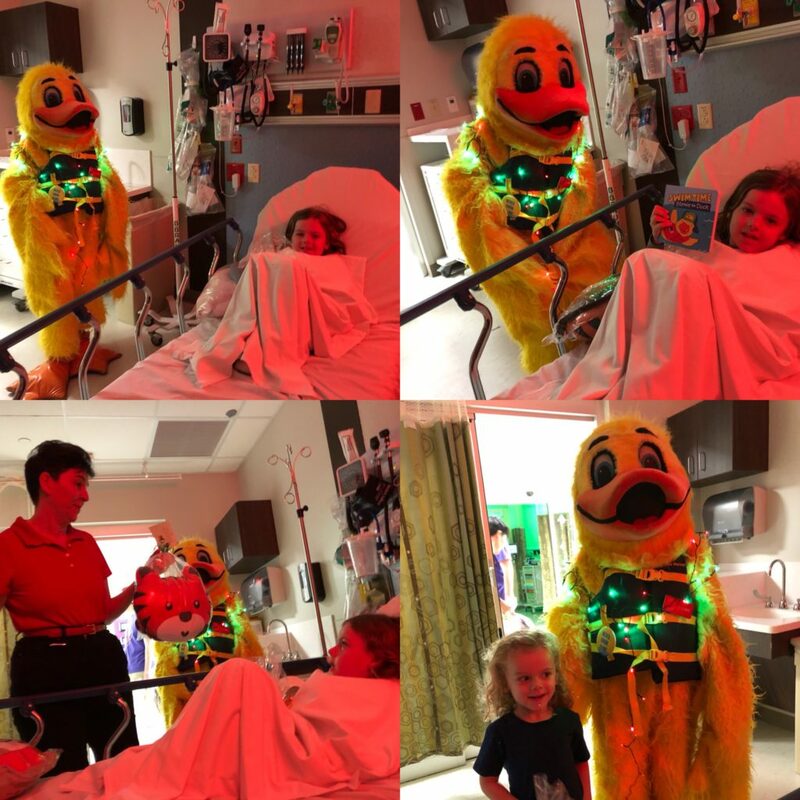 “Swim Time with Stewie the Duck” books were also given to the children. Books were donated by Stew Leonard III Children’s Charities THANK YOU!